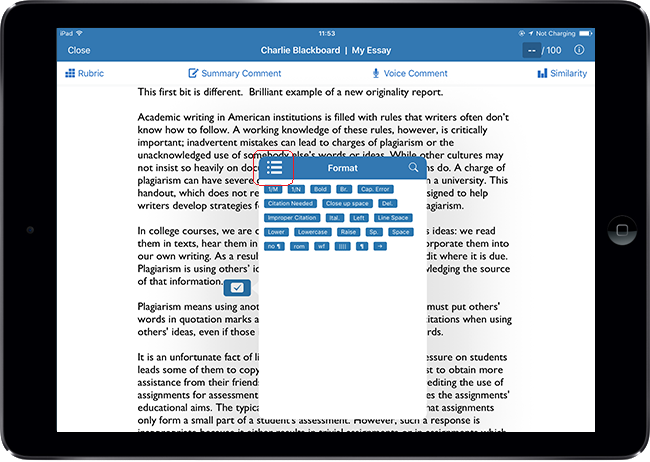 With GradeMark it is possible to add ‘inline’ comments when marking a submission. 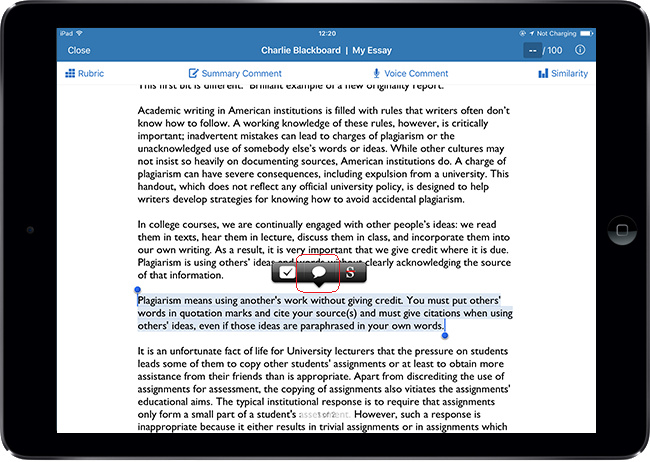 An inline comment is a bit like a note added in the margins of a traditional paper submission. 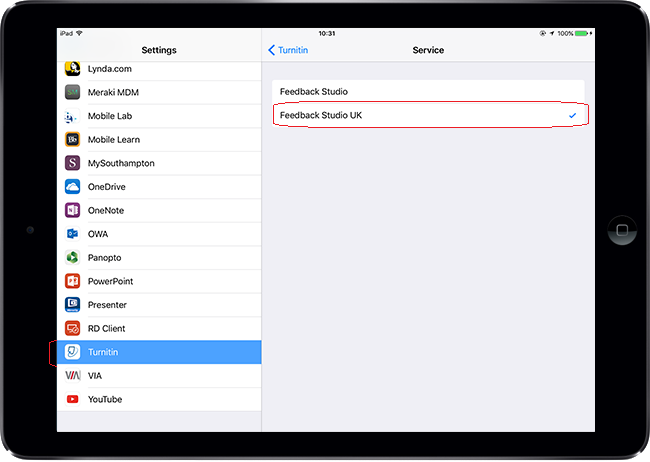 This guide explains how to add an inline comment using the Feedback Studio iPad app. 2. Tap the screen where you want your inline comment to appear. 3. Tap the T logo which signifies an inline comment. 4. 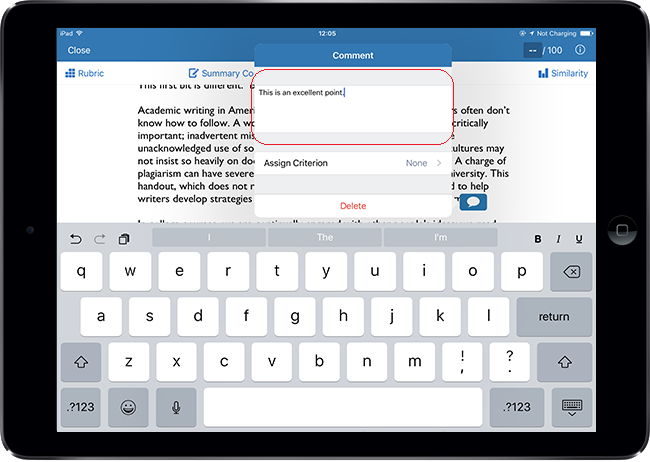 Type your comment in and then tap elsewhere on the screen to save the comment. 5. Your inline comment has now been saved. You can tap the comment twice if you need to edit it, or you can tap and hold if you need to drag the inline comment to another location on the paper. 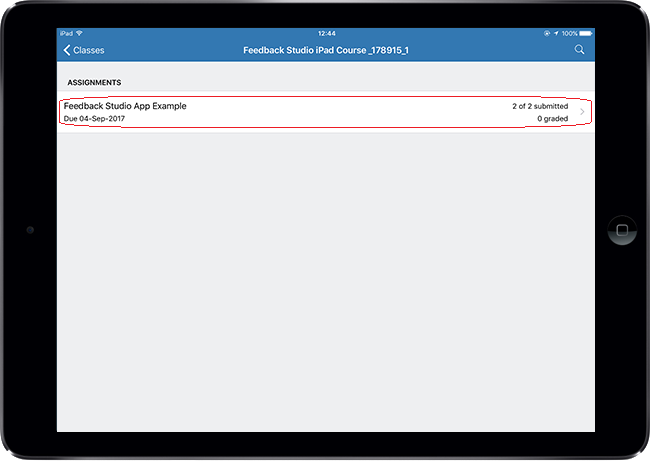 When viewing a submission using the iPad Feedback Studio app, it is possible to toggle the originality report overlay on or off. 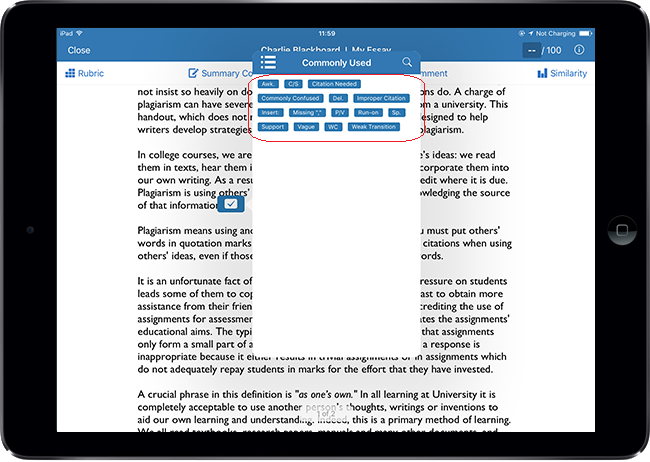 This guide explains how to turn the Originality Report overlay on / off when viewing a submission in the Turnitin Feedback Studio iPad app. 1. Login to the Turnitin app and tap through to the list of submissions for your chosen assignment. Tap on the submission you wish to view. 2. 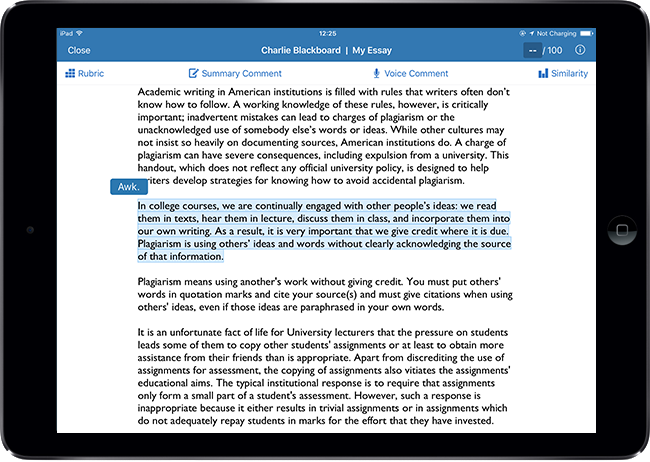 Along the top of the screen you will see four options, each of which allows you to interact with the paper you are marking in some way. Click on the Similarity icon in the top right hand corner of the screen in order to turn on the Originality Report overlay. 3. Tap on the toggle icon to turn the Originality Report overlay on or off. 4. When the toggle is turned on it will be light blue, and the Originality Overview should display matches in the underlying submission. 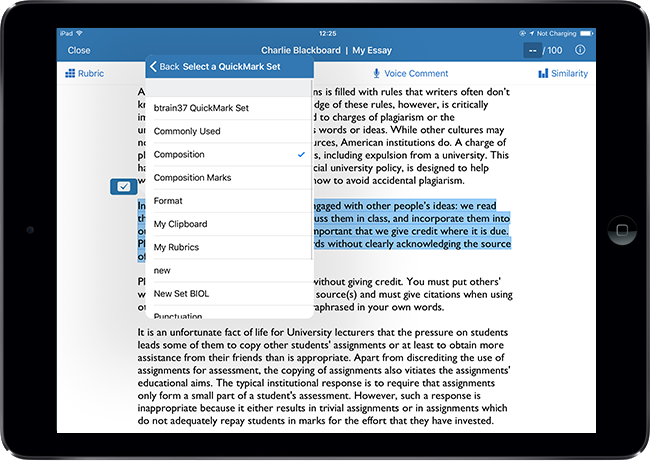 QuickMarks are pre-formatted comments which are designed for repeated use across submissions and classes. 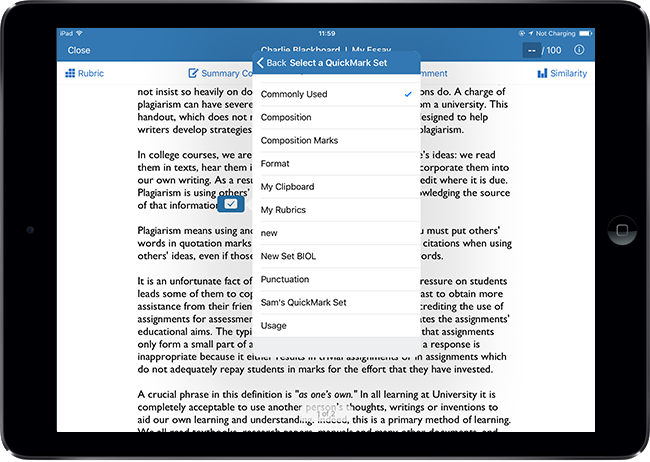 This guide explains how to add a QuickMark to highlighted text using the Feedback Studio iPad app. 2. Tap and hold on the line of text you wish to highlight. You can drag the blue marker icons to customise how much text you want to select. 3. Tap the Tick icon. 4. Make sure you have your desired QuickMark set selected by tapping the icon as highlighted above. 5. Tap to select the QuickMark set you wish to use. 6. You should see a list of QuickMarks available as part of the set you have selected. Tap on any of these QuickMarks to add it to the paper. 7. Note that you may add your own comment to complement the default QuickMark comment. Once you are happy, tap Done. 8. Your QuickMark has been added. 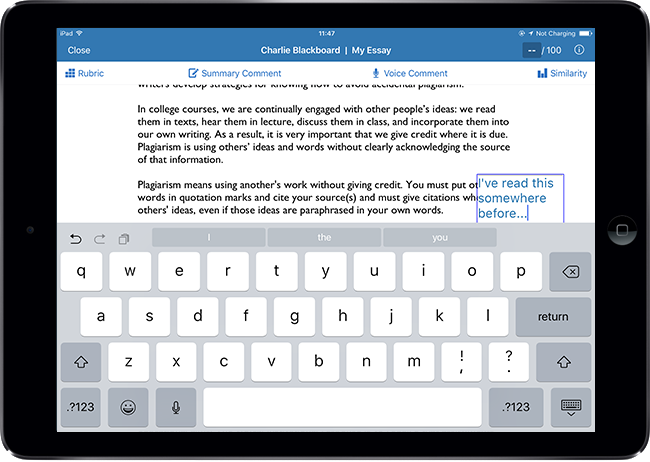 You can change the QuickMark (or edit the active highlighter) by tapping on the blue icon. Text comments are simple manually added comments which are designed for more specific / directed feedback on a per-user basis. This guide explains how to add a text comment to highlighted text using the Feedback Studio iPad app. 3. Tap the Speech Bubble icon. 4. Type your comment into the text box. Note that you can change the colour of the active highlighter using the colour options. 5. Tap elsewhere on the screen to save your comment. 6. Your comment has been saved. You can edit your comment by tapping the blue speech bubble icon. The Turnitin Feedback Studio app for iPad allows you to access and mark Turnitin submissions using an iPad. 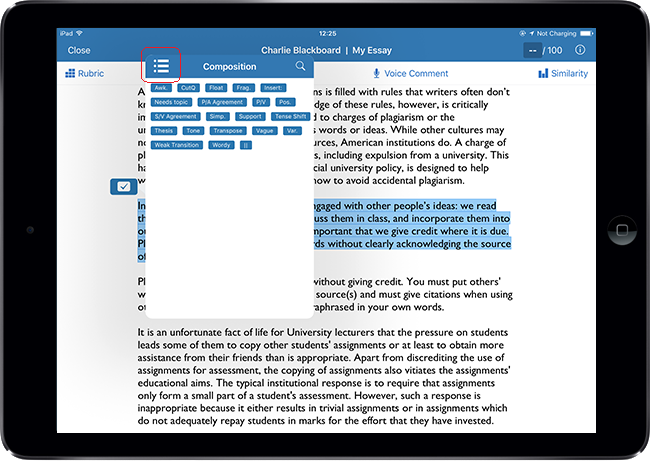 This guide explains how to access the app on your iPad and how to add a Blackboard course (‘class’) to view and mark submissions. 1. 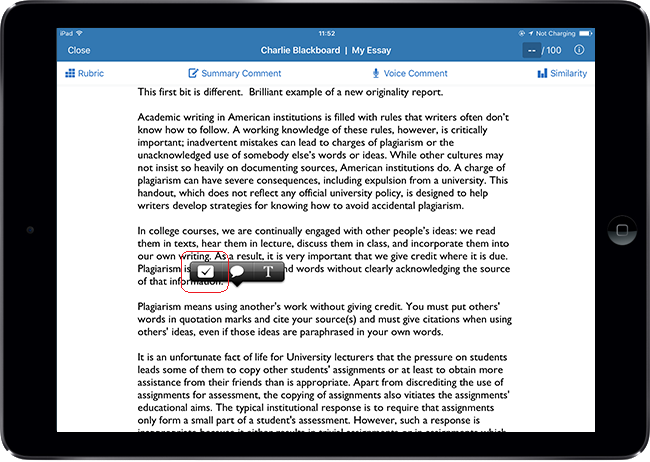 Locate and tap the Turnitin icon on your iPad home screen to open the app. Note that before doing this you should have configured your app to use the TurnitinUK service specifically. For a guide on how to do this, click here. 5. Tap on Log in with Access Code. 6. Enter the Access Code for the course you wish to view in the app. You can generate an access code by following this guide. 7. When you have entered the access code, hit return. 10. At the top of the screen it should show that you are in the ‘University of Southampton’ account. Underneath this it will list any courses which you have attached using access codes. You will need to add each class individually using Access Codes generated per class. Click on the name of the course for which you wish to view Assignments. 11. At the top of the page you should see the name of the class / course you have entered. On screen will be a list of the assignments which exist on that course. You should see a summary of each assignment on the right hand side, detailing how many submissions there have been, and how many have been graded. Click on the name of the assignment to view the list of submissions and to mark these submissions. 13. In the main viewing frame you should now see a list of submissions which have been made (or not) to the assignment you selected. To start with, these will be greyed out, as they have not yet been synced to the iPad. In order to access submissions, you need to Sync the assignment. The first way to download / sync papers is to click on one of the submissions, as shown in the screenshot above. This will then download submissions to your iPad. 14. Another way to sync all of your submissions, and keep them synced is to tap on the ‘i’ icon in the top right of the screen. You should then toggle the ‘Download All’ option so that it is turned on, as in the screenshot above. 15. Tap the ‘i’ icon again to close this popup. 16. All submissions should now be synced, meaning that they have been downloaded for access on the iPad app. You can now go offline with the app (for instance if you are travelling on a train without an Internet connection). Note that you will see any score that has already been entered for each submission (or a pencil icon in the event that no score has been entered). You can also see the percentage for each paper’s originality score. 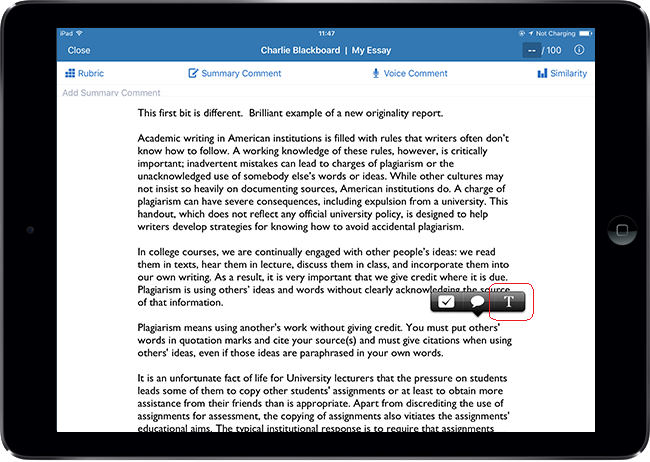 The Turnitin iPad app requires you to add ‘classes’ (Blackboard Courses) you wish to view / mark in the app. As our implementation of Turnitin through Blackboard uses single sign-on to give you access to Turnitin, you can’t login to the app directly with a username and password. Instead, you must login to Blackboard to generate a link which will be emailed to you. By clicking on the link on your iPad, you are then granted access to the app. Before following this guide, please make sure that you have fully synced any marking you were doing, and have then updated to the latest version of the Turnitin app (in the event that you have previously used the app and are simply adding a class). 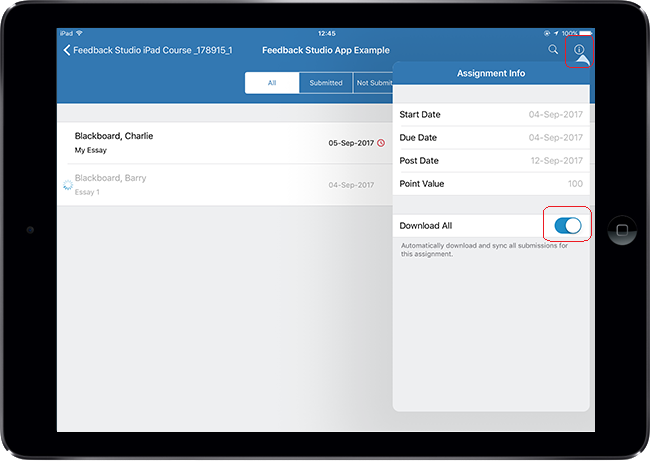 You should be able to generate the email through any device, but you will need to access the resulting email and link using the device on which you wish to access Turnitin through the app. 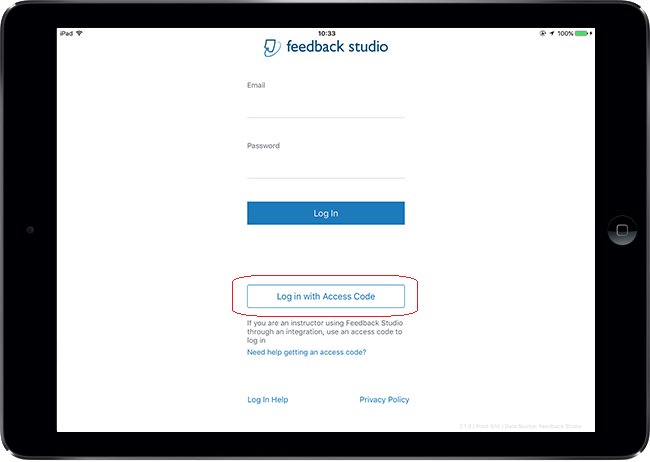 Alternatively if you follow this guide using a browser on your iPad, you will find that you are presented with a simple ‘Add Class’ button towards the end of the process. 1. Using either a desktop machine, or the browser on your iPad, login to Blackboard and browse to your course’s Control Panel. Expand the Course Tools section and click on Turnitin Assignments. 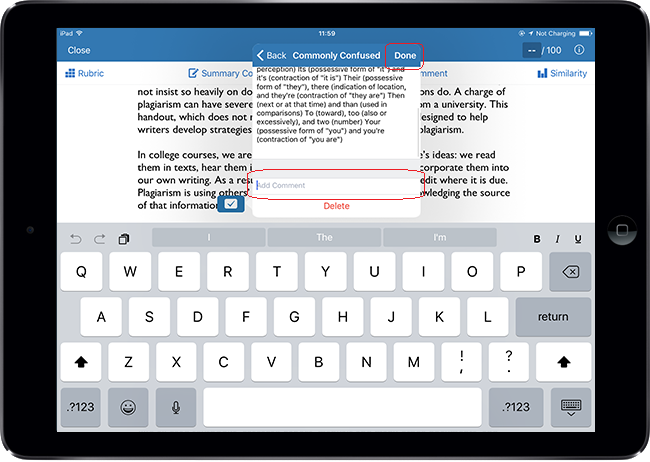 Note that if you are doing this on your iPad you may find that the course menu auto hides. To un-hide the menu, tap on the thin blue bar on the right hand side of the screen. 3. Once the assignment inbox has loaded, you should see a list of students along with the details of their submissions. 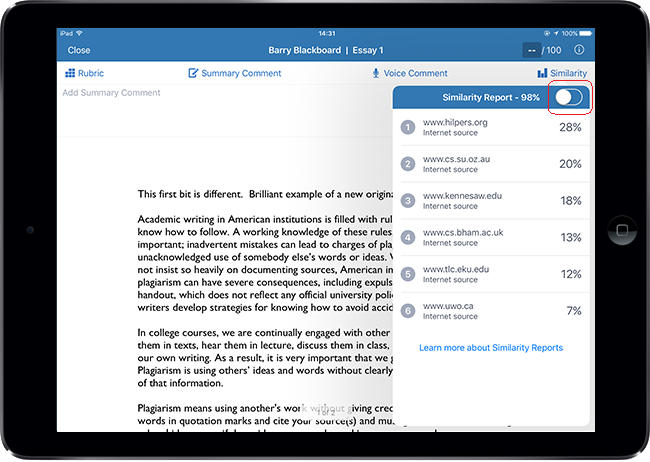 To view an Originality Report for a particular student, click on the percentage score which appears in the similarity column. 4. Once the Originality Report has loaded, click the ‘i’ button in the side panel. 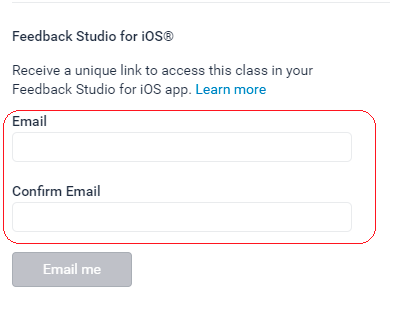 Generate email link / Tap the ‘Add Class’ button. 7. Using your iPad, login to the email account you used in the previous step. You can do this either by using your email app of choice, or simply by logging in to your email via webmail using the Safari browser on your iPad. 8. 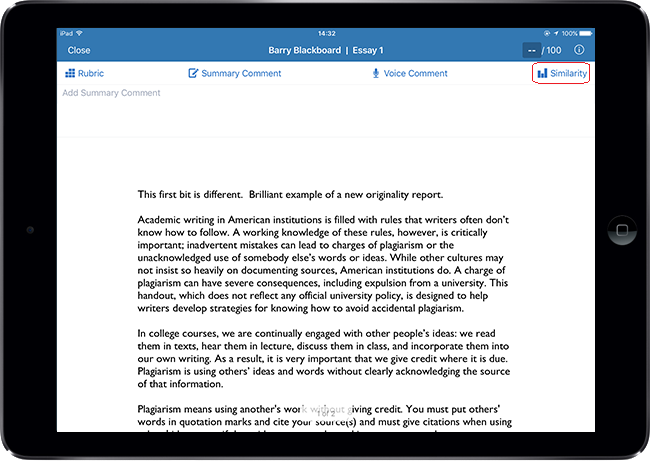 You should have an email from ‘noreply@turnitin.com’ with a subject line ‘Your Feedback Studio iOS class link’. If you do not have this email, check your junk or spam folder. Assuming you have found the email, open it and tap on the blue ‘Add Class‘ button. This should then load the app and link your account to the class in question.